Trulli are remarkable examples of corbelled masonry structures commonly located in Apulia, Italy. 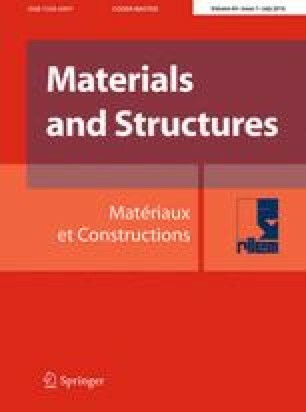 This paper focuses on their statics. Trulli domes transfer loads in paths that follows meridians and parallels: idealization of the dome as a system of independent arches is not admissible. The aim of this research is to present a simplified methodology for assessing their stability against vertical static loads and for classifying trulli in a database in order to identify those which are in the worst conditions. The goal is achieved by adopting a static index of stability (St. I.) that takes geometry into account. The methodology has been developed within the framework of the Apuliabase Project and it has been applied to the structural vulnerability evaluation of 30 case studies. The same philosophy can be extended to other structural typologies exhibiting similar structural behaviour. Apuliabase Project has been funded by Apulia Region Principi Attivi Call. The authors wish to thank Laura de Lorenzis, Philippe Block, Matthew De Jong and John Ochsendorf for their support and suggestions during the project. The authors also thank Giuseppe Lacorte for providing several photos of trulli and Landnet for the technical support provided for the surveying techniques. The author would like to thank Kam Tam and Andrew Chestnutt for improving the text.